This article contains steps to solve the problem of "Unlisted User" staff name shown at the transaction list. › The Staff Name shown "Unlisted User" when flash card. › After flash card, the transaction list shown "Unlisted User" and user not able to access the door. › Card record is yet to be added to the database and downloaded to the controller. Please add the staff records accordingly. There are 4 ways to add staff record using the xPortal software. You may choose any option that you preferred. The 4 options are "Manual Add", "Batch Add", "Scan List" and "Import Staff". Follow the article link to add the staff record according to the option preferred. 1 - Manual Add How to manually add staff record in xPortal Client software? 2 - Batch Add How to batch add staff record in xPortal Client software? 3 - Scan List How to add staff record using Scan List in xPortal Client software? 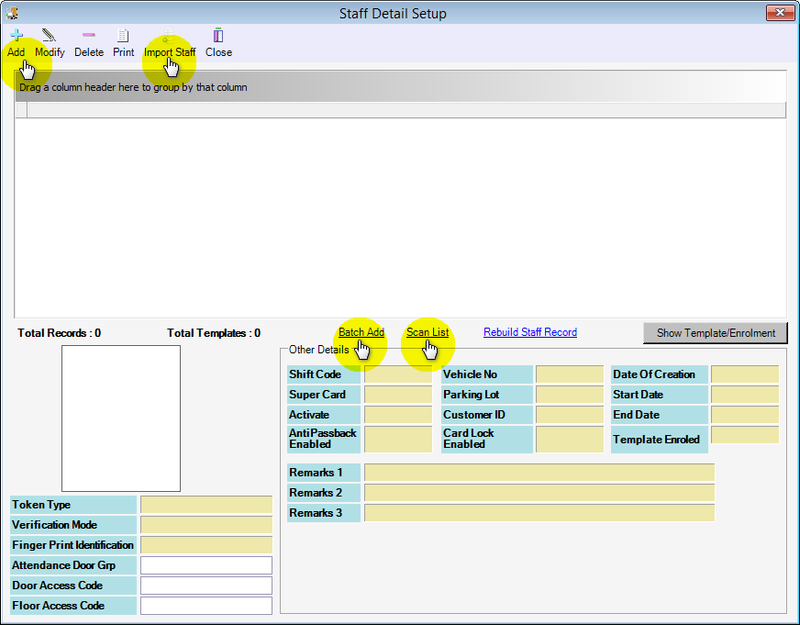 4 - Import Staff How to add staff record using Import Staff in xPortal Client software? Summary: This article contains steps to solve the problem of "Unlisted User" staff name shown at the transaction list. How to manually add staff record in xPortal Client software? How to batch add staff record in xPortal Client software? How to add staff record using Scan List in xPortal Client software? How to add staff record using Import Staff in xPortal Client software?